A group of around 30 or more comms people are helping the new interim Ukrainian government put out the message that it is legitimate and counter alleged Russian propaganda. 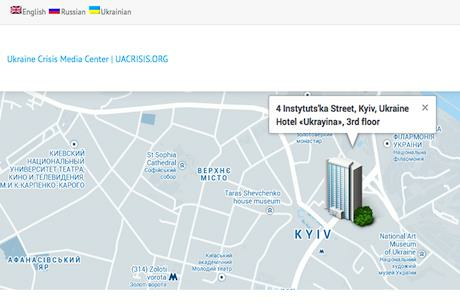 The group formalised its operation yesterday by announcing itself as the Ukraine Crisis Media Centre with a website and presences on Twitter, Facebook and YouTube. The group consists of experienced comms people working on a voluntary basis, according to one member, who PRWeek spoke to as she prepared to fly from London to join the operation in Kiev. Marina Denysenko said she was Ukrainian, had lived in London for 15 years and worked as a PR for an events company in the UK. Denysenko, who stressed she was not a formal spokeswoman for the group, said she wanted to help the government organise its messaging at what was a "crisis point" for her country. Russia has been accused of flooding the peninsula of Crimea in the east of Ukraine with unmarked troops amid fears it plans to exercise political control over the region, where it has military bases. Its state-owned TV station Russia Today has also been accused of spreading false reports and propaganda designed to scare the Russian segment of Ukraine’s population. The UCMC’s key messages are that the interim Ukrainian government is a legitimate government voted in by Parliament including the party of the deposed Prime Minister Viktor Yanukovych – which Russian president Vladimir Putin does not accept – and that the country is a victim of military aggression from its neighbour. It hosted a series of media briefings yesterday from its base in a hotel in Kiev’s Independence Square, where much of the protests against Yanukovych and subsequent violence played out. Speakers were due to include the head of the national security and defence council of Ukraine, Andriy Parubiy, and Petro Poroshenko, co-chair of the Ukraine-EU Parliamentary Co-operation Committee. This article was amended on 8 March, to correct the number of people involved with the Ukraine Crisis Media Centre, previously believed to be 10. PRWeek would like to clarify there are 10 people co-ordinating the work of the Centre but Denysenko is not in that steering group. Further explanation of the Centre's work can be found in this subsequent article.